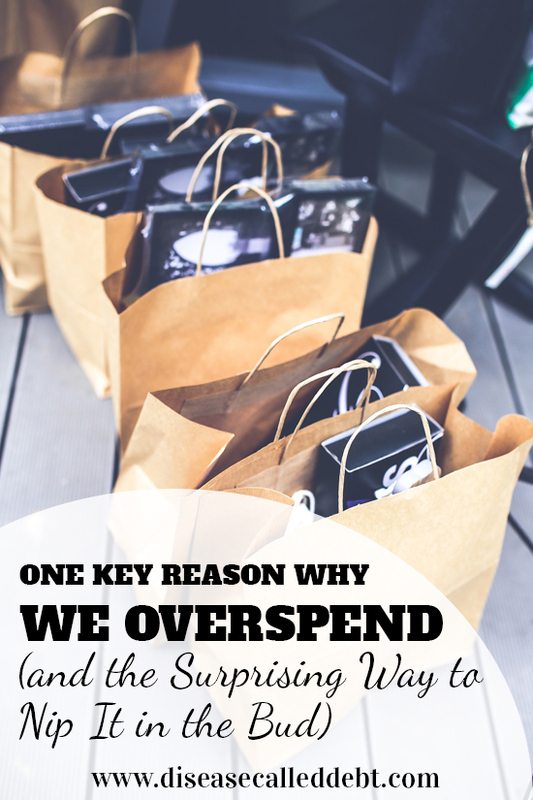 Today’s post is an insightful read from guest contributor, Katharine Di Cerbo, on the topic of overspending and psychology. Have you ever had the overwhelming urge to buy the right clothes, take the right vacations, and own the right technological gadgets even when you knew you really shouldn’t be spending so lavishly? Of course you have (we all have)! For me, these overwhelming urges to wear out my credit card have most recently come up around outfitting my new apartment in Italy. You see, just last week I moved to Italy from Germany. In the past 3 years I have also lived in New York City, North Carolina, and Indiana (all for my husband’s job)! And while the moves have been fun, life expanding, and great for our future, to my financial terror each new move has also instigated an overpowering nesting instinct in me to create a “proper” home. Because of these costly and seemingly unrelenting impulses, I’ve been doing a lot of thinking about what exactly my standards mean to me. Why do I feel this overpowering draw to spend more than I really should in a temporary home environment (not to mention neglect productive work in the process)? Some of it is obviously practical in nature – having things situated for convenience, especially considering I work from home, is important to living productively and happily. But I also have to confess that a lot of my home-goods hoarding comes down to trying to calm various fears about keeping up with society and feeling a part of it – fears that I know deep down can be addressed without spending buckets of money. Each new pair of spring shoes, each new technology impulse buy, each new home decoration, feels compulsive because we want to make sure we don’t get left behind. But why? And from what? One of my favorite ways of looking at this is through the lens of what some economists call “signaling” because it is so insightful. Essentially, the theory goes, we want to keep up with the joneses because doing so signals to other people that we share the same values and belong to the same social group (or it allows us to pretend that we do anyway!). We all badly want to feel a sense of belonging with other people we admire, and this sure feels like a powerful way to achieve that end. It’s also very efficient, at least in terms of time – when we meet a new person who shares our style or our affinity for the same travel experiences, we definitely feel some kind of initial connection to them within a window of a few seconds. They’ve “signaled” to us that there is common ground to be shared, and we want to explore a friendship. Fortunately, looking at our spending impulses this way means there is no longer a need to berate ourselves for our “materialism” or our “conspicuous authenticity” – we can recognize the legitimate need underlying our compulsive purchases and work to meet that need in a way that doesn’t require spending money. The way to get a sense of belonging without paying for the shortcut of signaling is to take the direct route – cultivating meaningful relationships the long way. But that sounds so obvious so why don’t we do that in the first place? Under what circumstances does it seem appealing to buy our way into the club instead of organically earning the membership? My theory is that we go for the “fit in quick” approach of purchasing the signals about our status and values when we are in some kind of flux in our lives, especially when it involves a disruption of our core social support systems. A new school, job, or a breakup can all cause us to want to take the quick and dirty route by purchasing the little symbolizations that we deserve to be accepted by the people we’d like to befriend. When I reflect, I know this was definitely true for me each time I moved to a new place and had to start all over with friends – without my conscious awareness, suddenly my home became super important to me because I imagined inviting new friends into it and entertaining them with all of my favorite foods served on pretty dishes. In contrast, if I had been able to invite my lifelong friends over to each new apartment, I wouldn’t have thought twice about serving them delivered pizza on a fold up table and chairs! – I would have known they’d support and love me no matter the state of my apartment. The secret then, is to invest energy directly into meaningful relationships instead of indirectly into signaling and hoping that it gets us some love. On my most recent move to a whole new world of people, this has meant resisting the urge to create the perfect home in favor of inviting new people I meet out to coffee, where I can talk about my interests to a real person (and learn about theirs) instead of displaying little clues I hope they notice. Prioritizing low-cost yet meaningful conversations, then, can both save us money and give us a better shot at getting what we’re really after in the first place when we make impulsive expenditures – feeling valued, understood, and like we belong. Author Bio: Katharine Di Cerbo loves helping people move past distrust, awkwardness, and even abject cynicism to build truly nourishing relationships – the key to long, happy living. Take her Make a Friend for Life in 2 Weeks Challenge to up your friendship game and start feeling amazing faster than you ever thought possible. *Images courtesy of Pixabay with text overlay added. Interesting points. As people who don’t socialize a lot — and don’t dress up much — I guess we’re saved from a lot of urges to signal. Still, I do look anxiously at our house on the rare occasions we do have people over. And that’s only partly because we don’t clean much. So I suppose I get it to the extent that it applies to our lives. Yes! When I’ve moved in the past, I wanted the house perfect before I invited people over… But that takes forever! And it never actually happens. So now they come when there are still boxes everywhere and camp chairs in the living room. Set the bar low and each time they come back they’ll still have low expectations. You’ll know they’ve come for you and not your stuff. Hi Julie – Ha, yes, it’s true, it’s never actually done, is it? I’m trying to learn how to get comfortable with things like that always being a work in progress – glad to see you’ve already got that one down. And yes, it’s sure nice to know people are coming for you and only you. This is such awesome advice and one I’ve taken to heart. When it comes down to spending money, I either want it because I just want it or it stays in the store. Impressing people…I’ve gradually noticed that people are often impressed with us just the way we are. For example, there have been plenty of additional things I’ve wanted to purchase for my home and it’s just something I want. When I tell others of the plan of what I really want, they are “pleased/happy” with how I already have things or the way my life appears. The reason this happens is because people are only viewing from the outside/in and they are perfectly willing to accept you as you are as long as you allow them to. Hi Latoya – thank you! I’m very happy that you found it helpful. And I agree, buying to impress people is a losing proposition. Interesting insight. I think we often expect to be judged by others (on our home, our clothing, etc.) when in reality we don’t judge people on those things and are unlikely to make friends who do. The important people to “impress” with your home are simply the people who live there! Great advice. I think it is absolutely true that if we concentrate on cultivating the relationship than we will feel less insecure about the material possessions. I have learned recently not to care so much about what my house looks like compared to others. It isn’t perfect by any means. It is functional for what we need and that is all that matters. I think this article is eye opening. We need to foster relationships to feel compete and not buy stuff. Thanks, Becky, I’m glad it hit home for you! This definitely rings true for me, especially when it comes to clothing. For better or for worse, we do all make snap judgments about people based on first impressions, even if the judgment is just whether or not we think we’d like to be friends with this person. I think I definitely choose (and buy) clothes based on what kind of signals I want to send out in that first impression. But you’re right: in the long run, the first impression doesn’t matter. I don’t love any of my friends for their clothes, even though what they were wearing when I first met them might have contributed to my first impression of them. The friendship is based on deeper things than that, so it makes sense to pursue those things from Day 1. Yes, exactly! I agree. If we can remember to look past the superficial stuff to reach down to the stuff we really want in friends, we’ll skip a totally unnecessary step! Great insight here! I think I’m a little bit of the opposite. I’ve spent so many years free roaming America and the world, that as soon as I sign a lease somewhere, I have a panic attack and feel trapped. With every item that comes into my home I think, what will I do with this when we go? How will I get rid of it? Will it just fit in my car? My best friend makes fun of every apartment I’ve lived in the last 10 years and calls them prison cells, but I feel better knowing I could disappear overnight with no problem – not that I ever have. I do relate more to buying crazy things because of boy troubles, breakups or even really nasty fights with friends – it’s kind of the same as getting a haircut. It magically feels like it’s fixing something that can’t immediately be fixed for a few minutes. 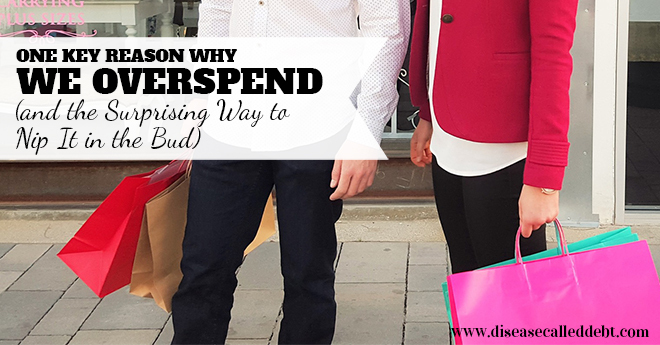 I think the idea of keeping up with our peers (or even people outside of our peer group) can result in a certain amount of unnecessary spending. A lot of people believe that others judge their internal value by their external stuff, which may not be true. I have friends from all walks of life, and I have never judged their “value” as people based on the things they buy. This is a fascinating look at what makes us tick. Thanks for this insight. It will definitely encourage me in my #yearofno. Best of luck to you on your #yearofno! Does that pertain to unnecessary purchases only or other things too? Whenever I socialize with my friends, I think they accept me for who I am and they are kinda frugal as well. I’m glad that I am in the group with the same interests.